I am very very interested in this plugin. 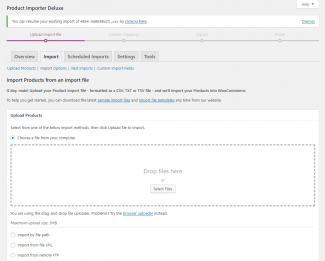 Please let me know when will this plugin be available for people to purchase? Thank you. I’ve recently purchased the product importer deluxe and I’m getting round to R and D’ing it. 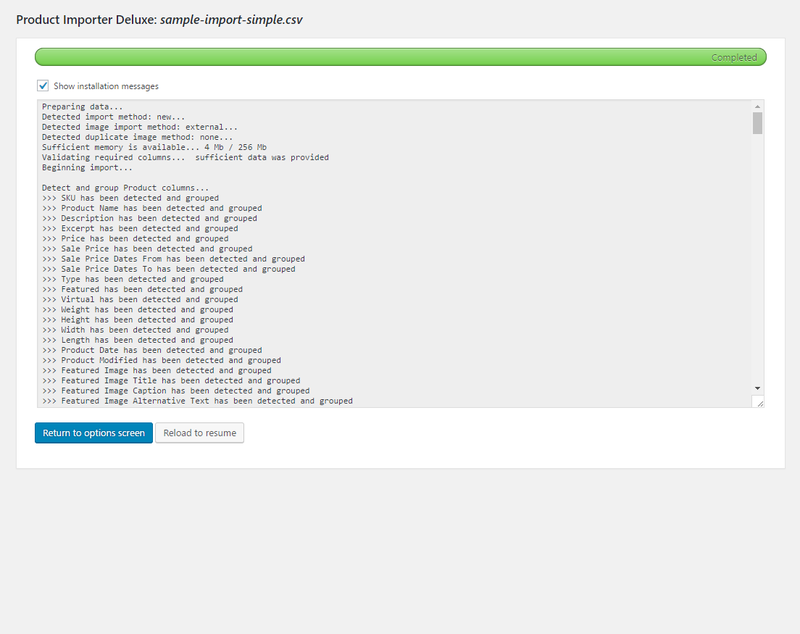 Unfortunately I’m falling at the first hurdle as when I upload the CSV I’m just getting a blank screen. I tried it again with your downloadable test data and get teh same result. As per your offer to contact. Here I am. -Invalid XML file. Please make sure the file is XML-compliant. Opening file ‘634624812379721589_shoeshoponline.wordpress.2012-01-18(1).xml’ did not complete. 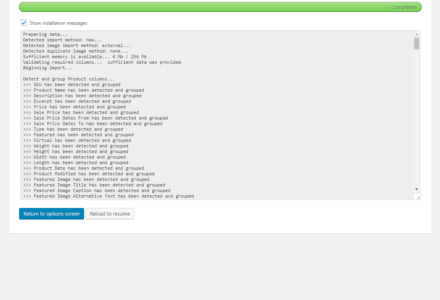 Execption message: The ‘content:encoded’ start tag on line 7411 position 4 does not match the end tag of ‘script’. Line 7425, position 9. How can I convert it to work with your program ? 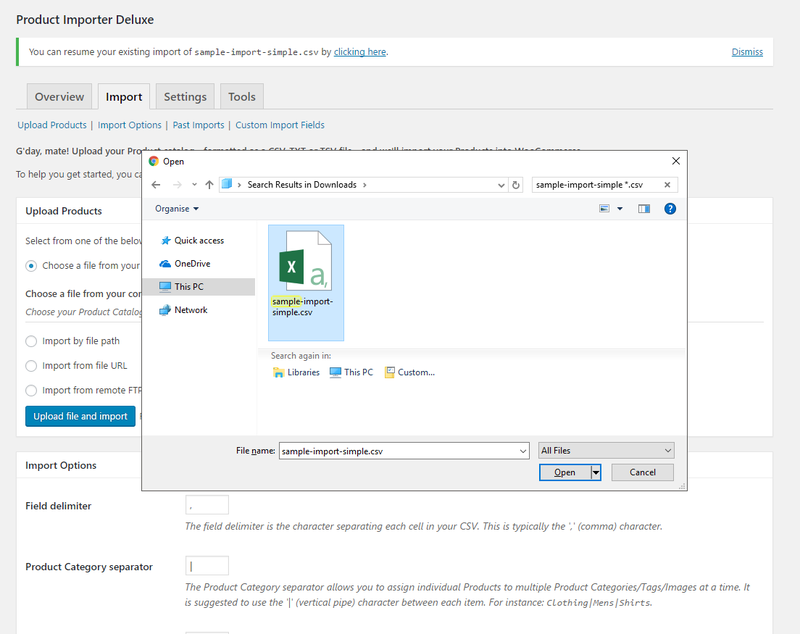 Hi dezza, just to confirm you have an XML file which WordPress has exported which includes your other store’s Product details as Custom Post Types and are trying to convert into a CSV file so you can import it. 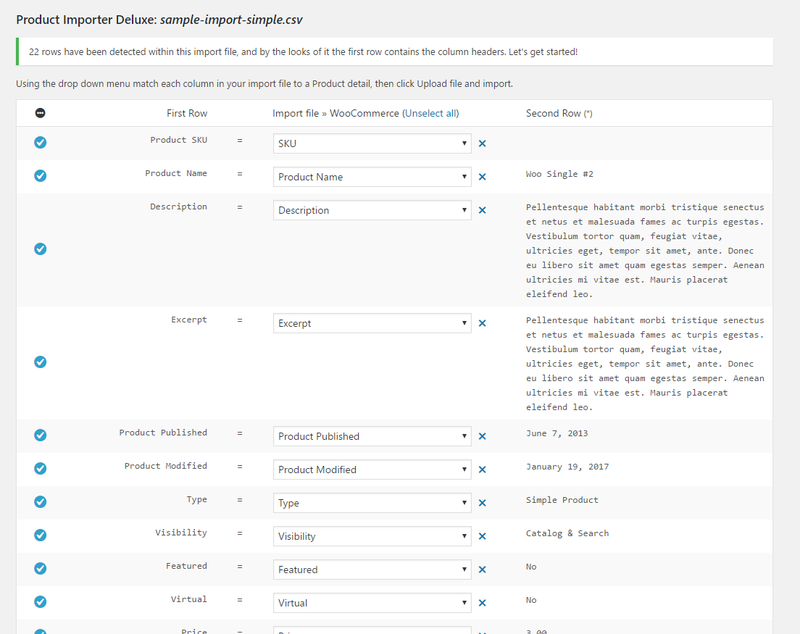 You will need to download a software solution for this, alternatively you could use WordPress’s free site import solution and then export the Products into a CSV file with my free exporter Plugin. 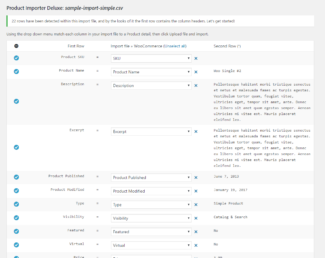 Can the Deluxe Importer set values used by the Wholesale Pricing plugin? 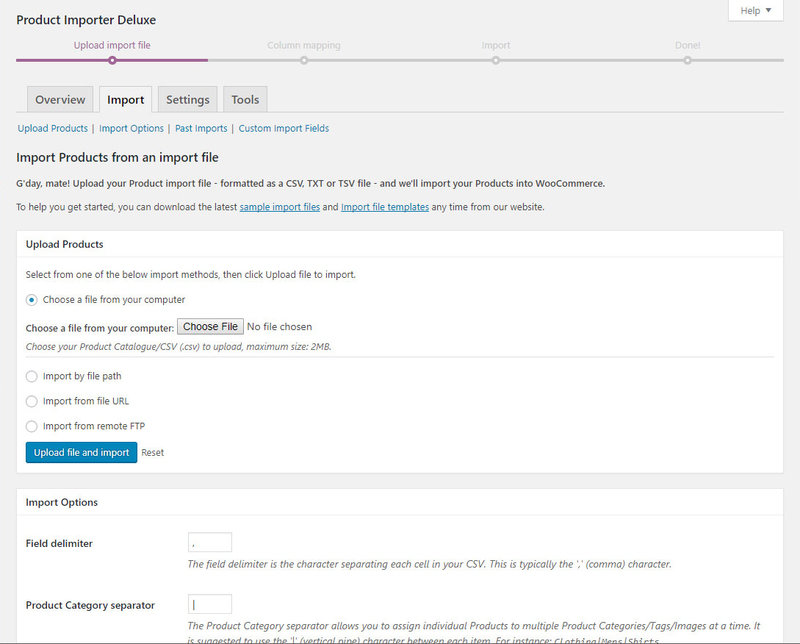 For example, could you set the fixed price for a given role during the import process? 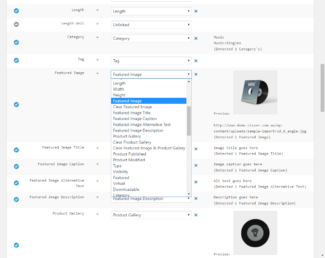 I have a new problem – I import all the products with multiple nested categories, but I’ve recently added a single non-nested category as well. 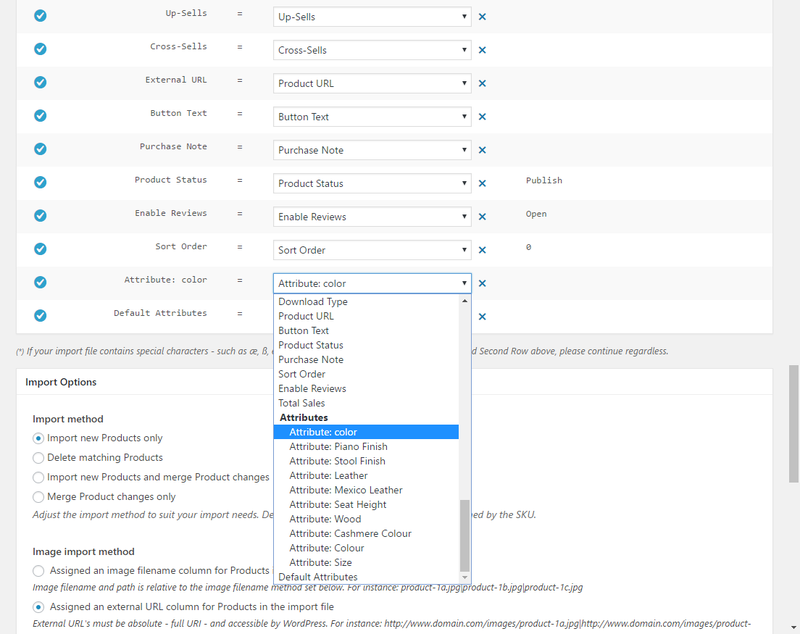 The products never get placed in these categories, and we have to add them manually. 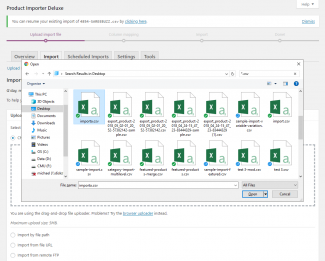 Let me know if you’d like an up to date version of our import file. 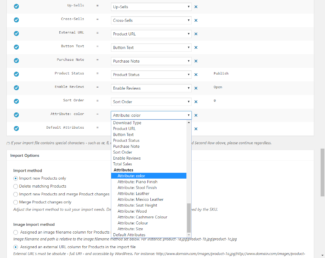 I’ve since worked out what’s happening, as I noticed that not only were none of the products going into the non-nested categories, but they were also being added to one of the subcategories that they shouldn’t have been in. However, the subcategory has the same name as the non-nested category, e.g. I’ve resolved the issue for now by renaming ‘Product Type 1’ to ‘Product-Type-1’, to continue the example above. Is it, or could it be, possible to use the Category slugs rather than the friendly names? As of course these have to be unique, whereas the names don’t. 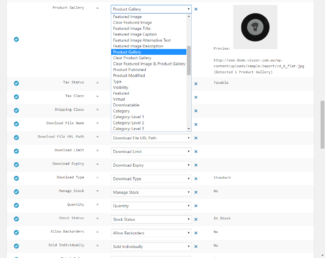 It doesn’t matter in this case as nobody ever sees the category name, as all products are listed by category short code (so we can order by Sku). 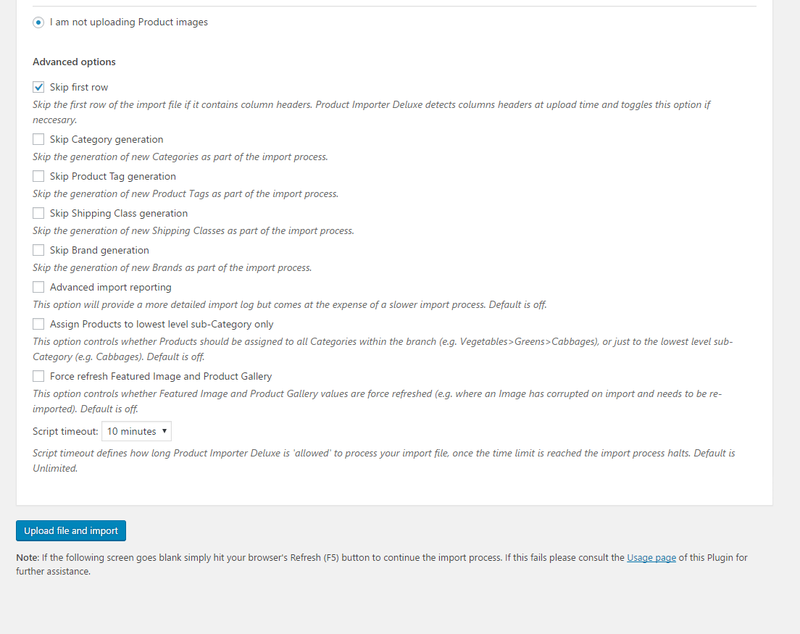 Would it be be possible to add columns to the import so you can specify the thumbnail sizes for each individual product? 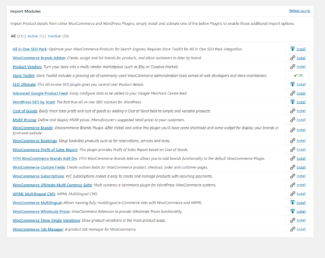 I believe this can be done within WP-Ecommerce, so maybe it’s just another couple of columns? 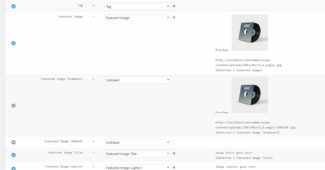 Hi Paul, this was previously possible with WP e-Commerce 3.7 since thumbnails were generated dynamically. I’ve added the Idea to implement support for custom thumbnail sizes that are generated at import time for WP e-Commerce 3.8+. Thanks again for all your support last week – the deluxe importer now works reliably every time! 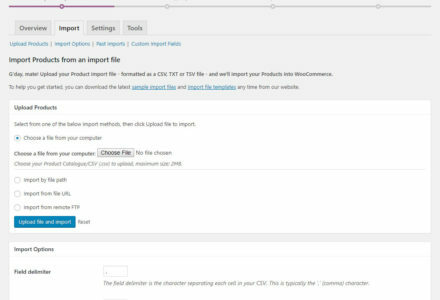 Just one thing – would it be possible to add the ‘Leave Comments’ field to the import process? 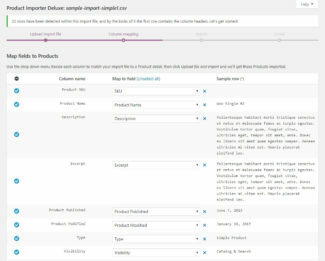 We seem to have got this option ticked on all our products, & you an only change the default setting rather than all the existing products, but if it were possible to include the column in the import, then we could set them all that way. Thanks. Did you manage to confirm that this is working? I would have ignored any ‘comments’ column, believing it should be populated with comments, rather than true/false to indicate whether users are able to leave comments. Also, What kind of values should it contain? I think it’s actually called ‘Comment Status’ – is that the column you mean, Michael? 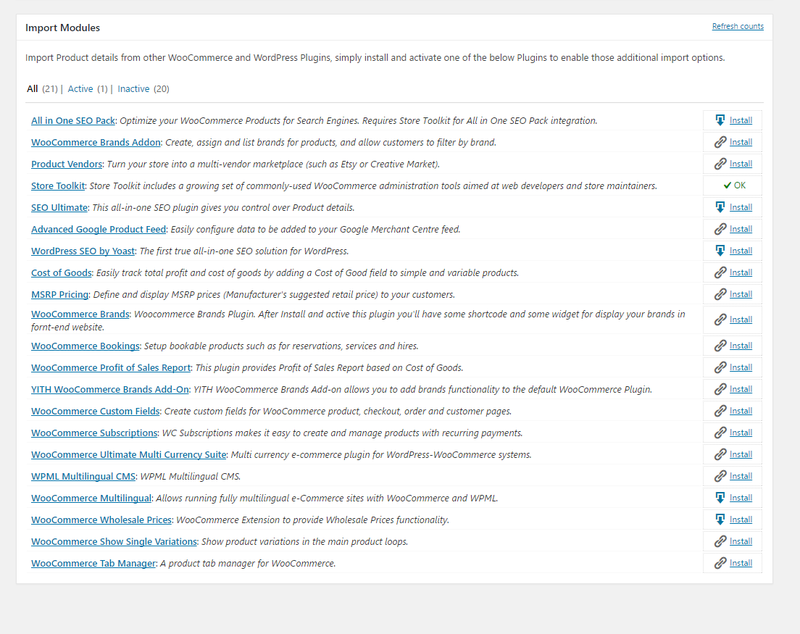 I’m afraid “Comment Status = No” doesn’t work – all the products still have the comments box, which the client hates! 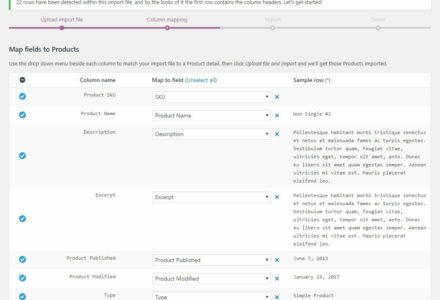 Am I right in thinking that this column matches up with this field on the Product page? Allow users to comment on this Product. The upgrades are working find. But all of a sudden all of my imports are being skipped. and it is not giving me any reason. … and it does this for my entire list. I have tried shortening the list, I have tried a different list, I have tried re-importing them. But I get the same message. 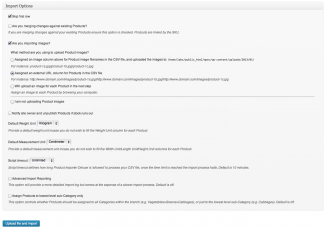 I am merging product changes. 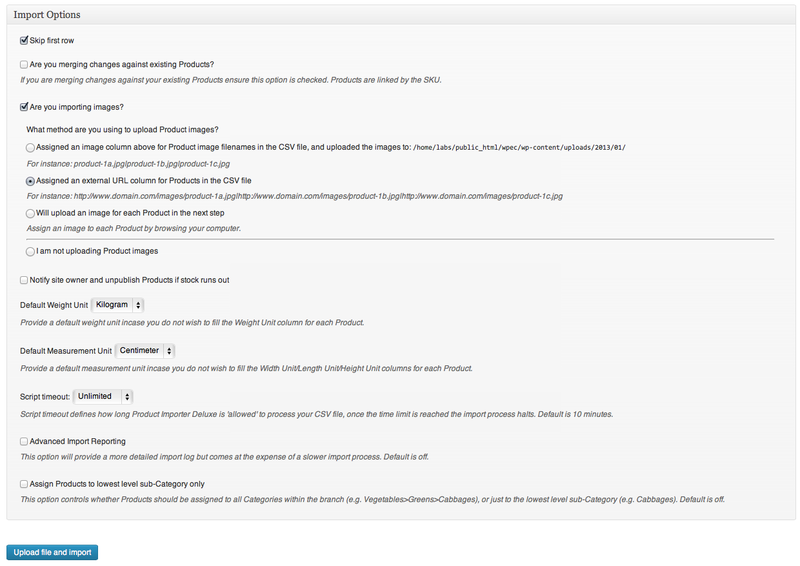 It worked for my first 1000 products, but now it is not allowing me to update the other products. Any ideas on what is wrong? I am fairly new around these files but should be able to muddle my way through it with a bit of direction. Hi Andy, thanks for raising this. 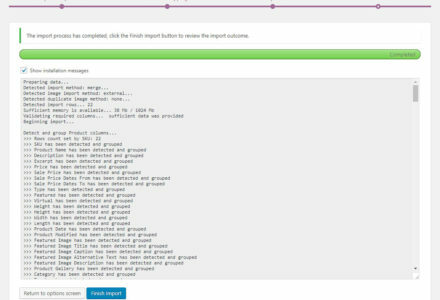 From the 3.0.5 Plugin update line #194 contains ‘foreach( $import->custom_options as $custom_option )’ while line #387 does infact contain that line. We’ve spoken on the GetShopped forums related to other plugins, so I’ve also posted with that handle, for continuity’s sake (yeah, I’m that annoying guy). 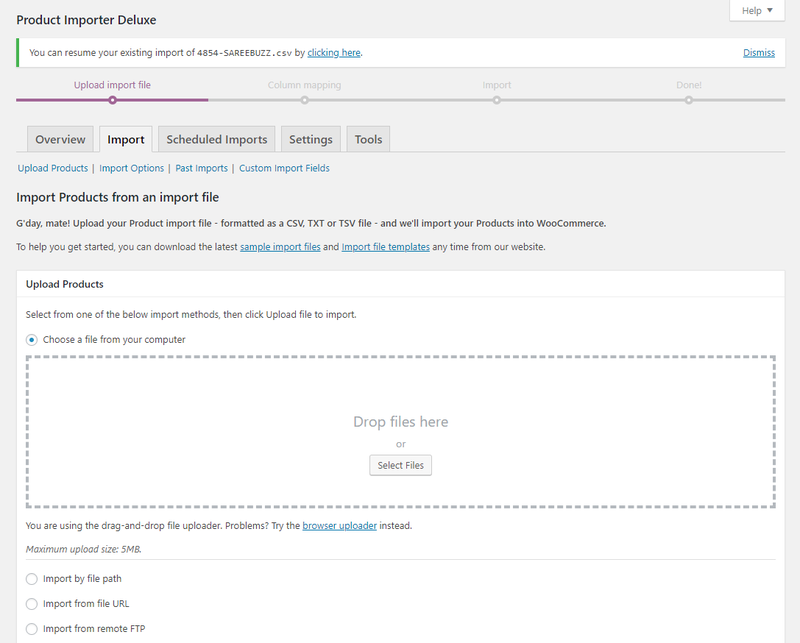 I recently used Product Importer Deluxe 3.0 to import about 600 products. It worked beautifully with one exception. 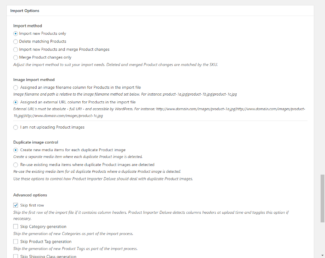 Specifying any categories more than 3 levels deep and the plugin ignores it. 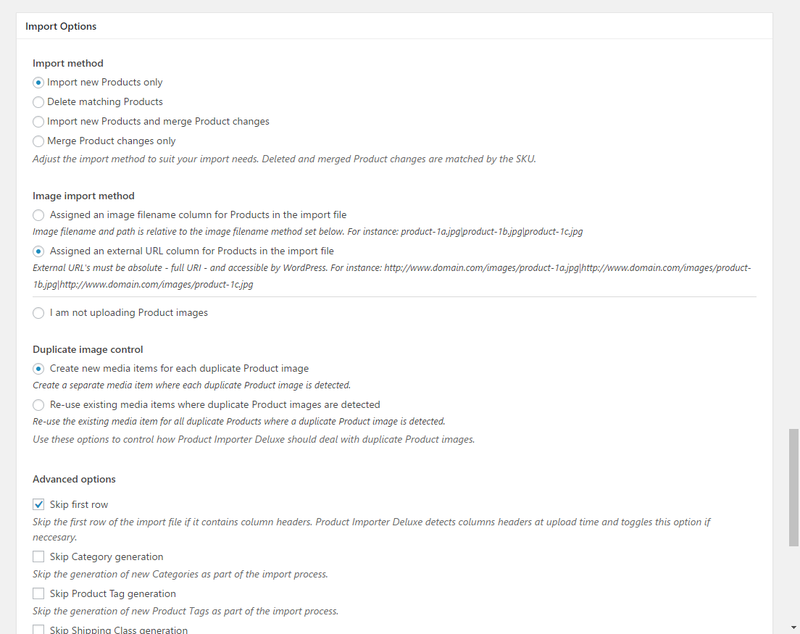 I ended up connecting that last level manually for all my products, and everything was fine… Until I needed to make a bulk change to product descriptions. That data refresh actually wiped my 4th level categories and now I’ve got to redo those from scratch. I’m hoping you can work a fix into one of your pending updates. The category column in my files is as follows: Figurine Urns>Dog Figurine Urns>A Dogs>Airedale. 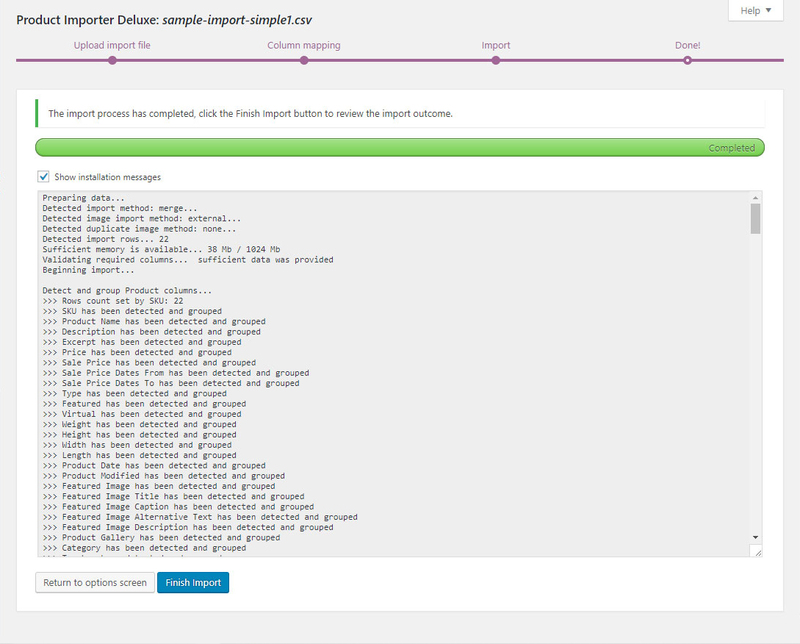 “Airedale”, in my imports is ignored on 1st import or gets wiped out in a data refresh. Everything above that gets autopopulated/changed without issue. After my post I found the section above explaining category depth. I see I am a bit out of luck. Would omitting the category column prevent the information being lost next go-around? Hi Tom, as there’s a limit on 3 level Category depth the 4th category will be ignored. This is done as the 4th Category will otherwise be a Parent Category. 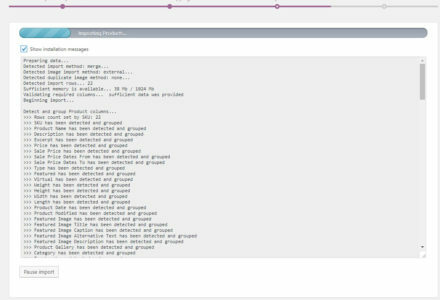 What I can do though is on merge’s ignore any 4th level Categories you may have already linked to. Will do my best to get this into 3.0.6 due in the next few days. In the new year I’ll be looking at a recursive solution to this that does away with a 3-level depth limit on Categories. Hi again. I have products that vary in size for the thumbs. IE: some are horizontal and some are vertical. I see that on the product import there is only a way to select one size of thumbs. Is it possible to have different thumb sizes? 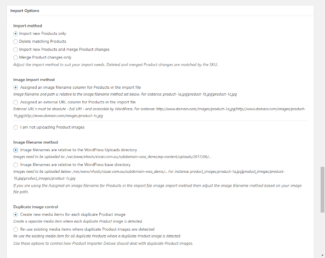 I too have the same requirement – some images are portrait in aspect, some are landscape, and I’d like to avoid having all the images as large squares that contain the correctly shaped image & lots of background colour. 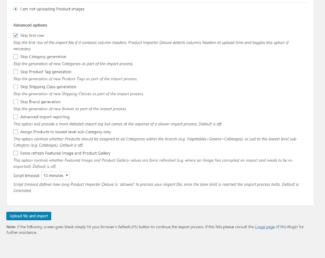 Is there any way to vary the image size for each product? 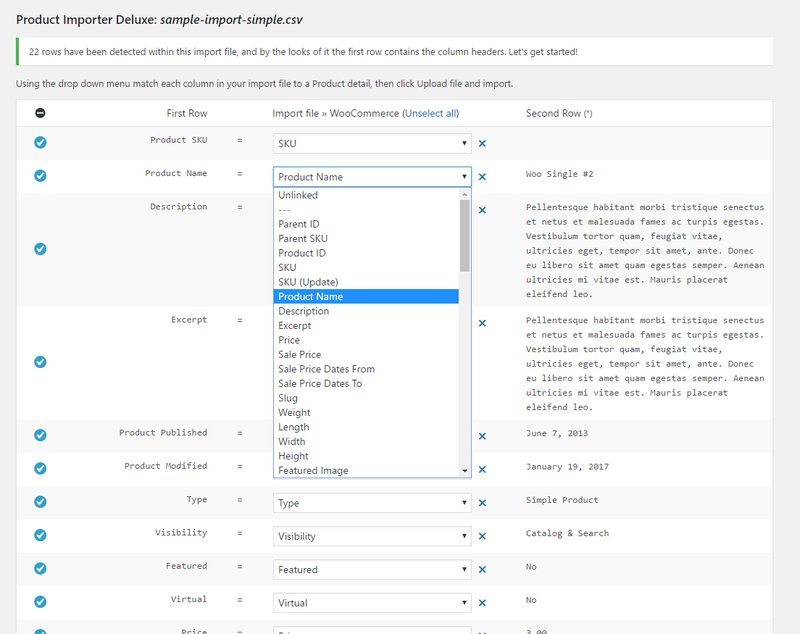 My .csv file is exported from an Access database, so it would be easy for me to specify the image dimensions for each product type, then pull that into the export .csv file for each product, so that WP-Ecommerce can set the image size correctly for each product. As far as I’m aware, the Deluxe Imported doesn’t support any columns for specifying the image dimensions – is that correct? 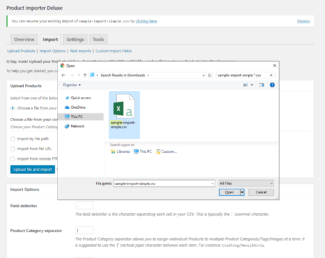 Hi Carolette, thanks for raising this, I’ve spotted the cause and am pushing out a minor Plugin update (3.0.5) to resolve this in the morning; it’s caused by the default dimensions meta not being filled at import time. Expect to see Wholesale Price support and possibly even Related Products in 3.0.6. Thanks, I will be looking forward to this update. As you can tell, I figured out how to use the plugin :). I am looking forward to the videos to see what else the plugin can do. Any updates on this? I need to launch a site for a client and I’m getting the same error, he’s getting a little impacient (bad timing). Regards and thanks in advance. I was just wondering, is there a way to combine the benefits of Product Importer Deluxe and Related Products plugin? 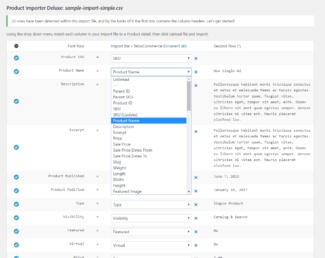 Ideally I would like to be able to add a column to the csv file that nominates the 6 specific related products that should show for a given product. Just wondering how I might be able to do it? 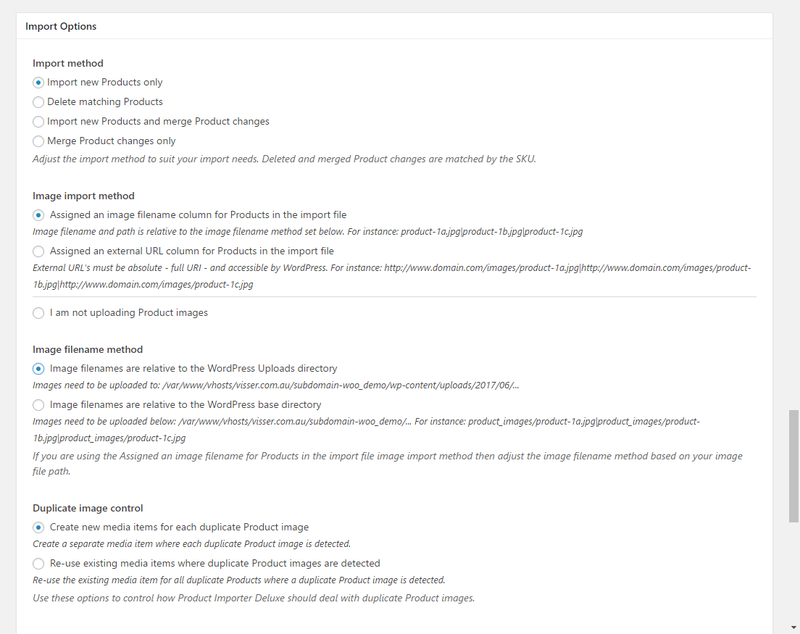 It would save a massive amount of ticking time on related products plugin, especially when I have 6 ‘related ticks’ for each of about 200 products. 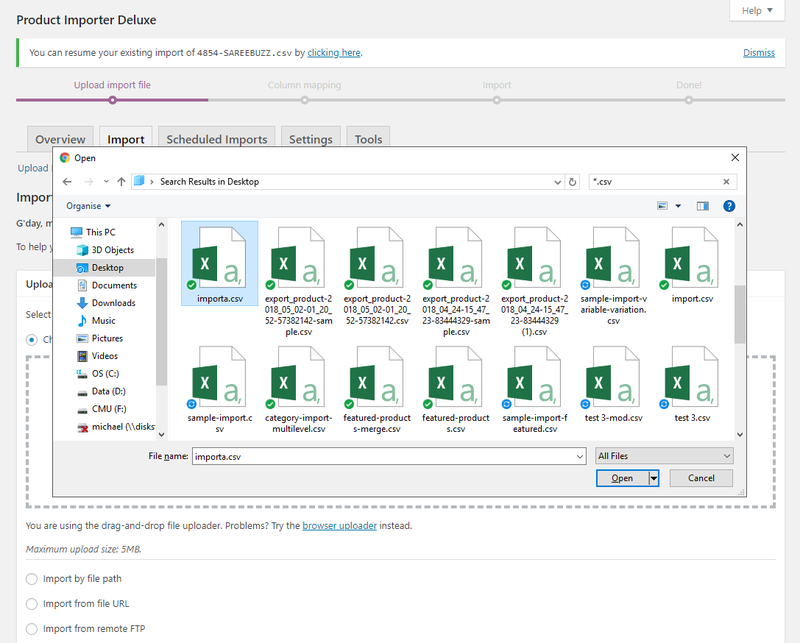 ‘EOE001’ being the SKU for a Product called ‘Modern Warefare for PC’, separated by the standard Category separator (defaults to ‘|’). 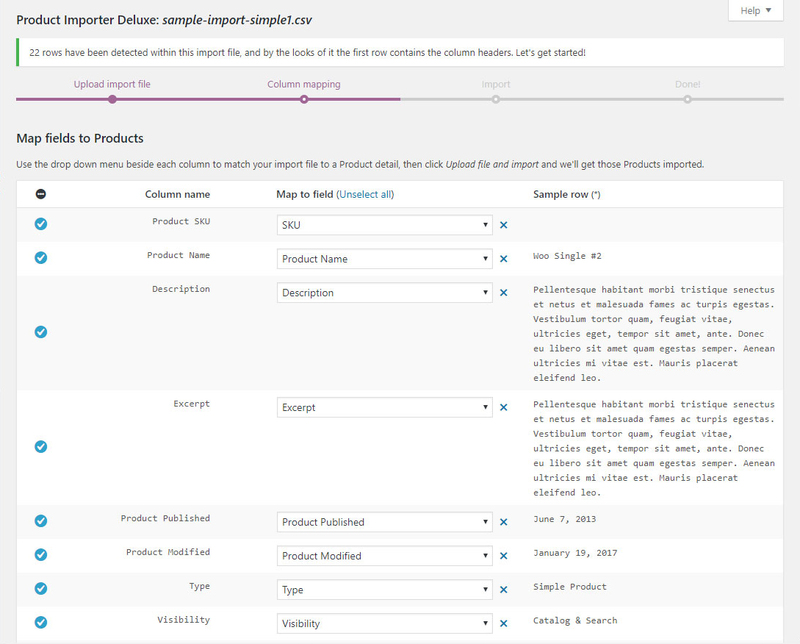 just wondering if this (Product’s SKU to link the Related Products in csv) is ready to go?